In an effort to cut down on food waste in our house, we have employed lots of different tricks, such as shopping regularly (little and often), ignoring sell-by dates (by using our noses) and by simply throwing whatever wrinkled, stale bits and pieces we have lurking about; into a pot, with stock, to make soups or stews. Making soup in particular, is wonderful, as I've developed it into a guessing game. "What's in the soup today, kids?" "Bananas? Yoghurt? That weird pâté you made?" The kids obviously aren't very good at this guessing game because their palates have yet to develop properly. Either that, or my soup tastes very strange indeed. I am sure it doesn't. I love my soup. It keeps me warm. The other, somewhat paradoxical, method of reducing waste I use of course, is to lump items into the freezer, into deep hibernation, to be used up at a later date. I mention the word 'paradoxical' because this way of doing things often results in a proliferation of solidified matter, usually unknown due to a distinct lack of labelling. Leading to bags and bags of mystery, left for prolonged periods of time. This is really not the right way to combat food waste. This is food hoarding and I am sure that I am not alone. I caught up with someone (who shall remain anonymous) at Thane Prince's Cookbook Club recently and we chatted about the last time we met, at a Catalan Pig Day. By all accounts, her portion of the sobrasada we made together was still in her freezer. We met up at this pig day over four years ago. So, whilst it is a good idea store away any edible odds and sods that you might have, leaving them for some archaeological team to unearth in a thousand years time is not the way forward. A better suggestion though, could be the practise of buying frozen ingredients in the first place, with a view to incorporating them into your everyday cooking. 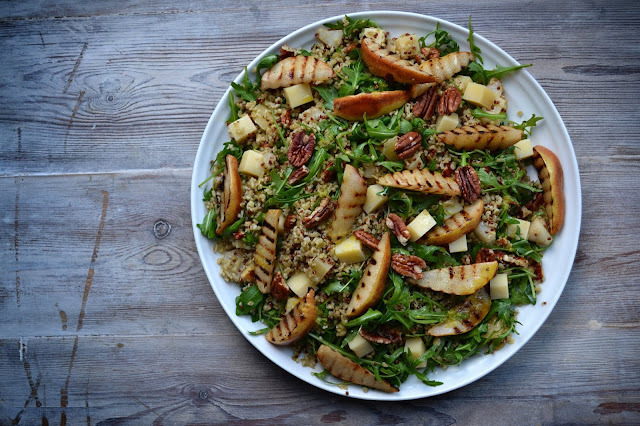 This could certainly help to make a dent in the estimated 7m tonnes of food wasted in the UK, an amount that costs each household £700 a year, according to the government agency Wrap. Which is where (dun-dun-dun-dun-dun-dah!) the supermarket, Iceland, come into the picture. As part of their #PowerofFrozen campaign, Iceland have been making a massive effort to overturn public perception and opinion of frozen food. Not forgetting to mention the brand itself. 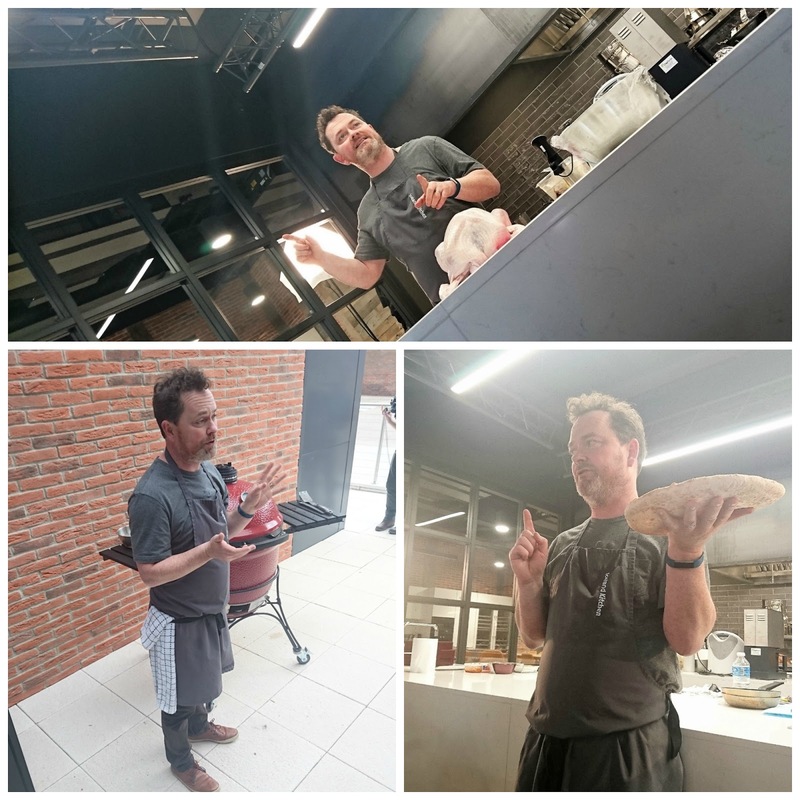 As part of this initiative, I was recently invited to go oop north, to visit their headquarters and rather flash development kitchen outside of Chester, for an exercise in myth-busting. Or buff-misting as I like to call it. The ship has sailed for me to go into all the detail behind the day and I am worried that already you are failing asleep but as press trips go, it was very informative and eye-brow raising, particularly when it comes to what other supermarkets or indeed restaurants can get away with calling 'fresh'. 'Previously frozen' is all around us and as such, you should really keep an eye on the labelling. If your interest is piqued, Charlotte of Charlotte's Lively Kitchen gives a good in-depth account of the day. Although Chris Pople's succinct write up will give you more of a flavour. What was really interesting for me personally, was the online response I got when it became evident that I was sticking my nose into Iceland mince pies and barbecued turkey. To my surprise, lots of people came out of the woodwork, in praise for their frozen goods. Especially with regards to their fish and seafood. And I have to say, it reignited an old flame for the shop and I have popped in there a fair few times since. Their frozen octopus is for instance, is excellent. In fact, I have some cracking memories of visiting Bejams, Iceland's precursor, with my Mum when I was boy. Wearing my green Parka, hood up, with fur trim, I would often open one of the huge chests they had in there, hop over and nestle in amongst the broccoli and lamb chops; slamming the lid shut. Mum would then eventually turn up, in a blind panic, and rip the lid back open. Through her screams, she never heard me, nor did she ever appreciate the scene I was reenacting. Instead of hearing my dramatic cries of "Ben? You want me to go the Dagobah system?" she'd simply clip me around the ear and hoist me back out by my ankle. Some Han Solo she turned out to be. 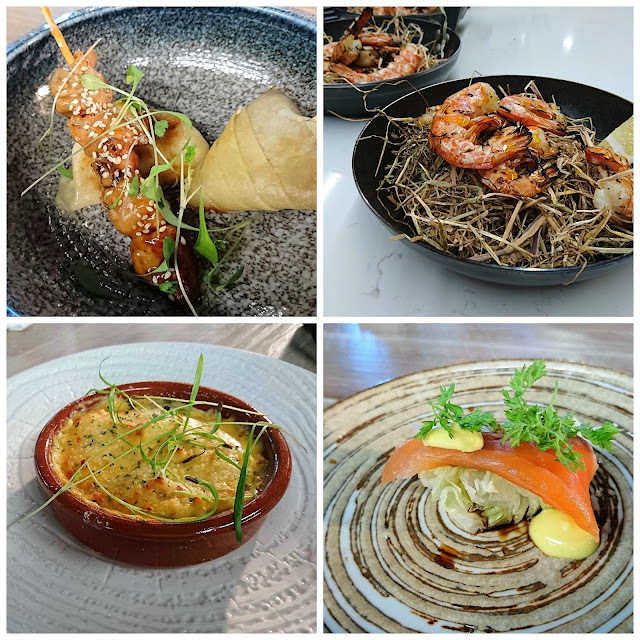 Coming back to reality for a second and getting on with the job in hand, the other thing that impressed me on that day was the way that Neil Nugent and his chefs were able to turn seemingly mundane frozen products into plates, or flights, of fancy. I mean we had Argentinian Rosso prawns, baked in hay, woof! The dish in question that I came up with, is Roast Pork Tenderloin with Black Pudding, Pea Purée and Parsley Potato Cake, topped with Parsnip Shavings. A heady combination of tender and sweet meat, rich and spicy offal, fresh, clean vegetables and handsome, nay, fulsome carbohydrate. And lots of capitals. This is not cooking by scratch by any means and yes, perhaps this wouldn't look out of place on Masterchef, circa 2008. But it does go to show, I hope, that you really can make a special plate of food, using frozen ingredients only. Also, it doesn't take that long to prepare, thus saving on time too. In terms of advice for approaching this recipe, I think there needs to be a couple of tips shared here and a caveat. To form the potato cakes, I dusted off my presentation rings, but a clean tinned can with both ends opened will do the trick. After simmering your peas, save some of the water to help loosen the puree but for gawd's sakes don't pour too much in, practically a teaspoon is needed (much testing was done to discover this). And you could add just a smidgen more butter at the end to help make the slightly burnt butter sauce, out of meat scrapings from the pan. But perhaps I went a little over the top here with my drizzling at the end. The caveat? Well, if I were to be really honest, it does pain me to include frozen chopped onion. Onions never die. As I once described them elsewhere, they are, to quote - 'amazing balls of energy, kept safe forever within their skins.' But hey, for speed and ease, go for it. At least there won't be any tears spilt. Which is more than can be said about the times when you sit down, to what you think is defrosted spag bol, and it turns out to be chili-con carne. Made using Quorn. Ugh. First heat your oven to 200C or 180C on a fan assisted oven. Next, place the mash potato (it comes as tubes) into a bowl, cover with clingfilm and microwave for 4 minutes. If microwave horrifies you, place into a saucepan and onto the hob over a medium heat and stir frequently. You may need a splash of milk to help loosen if going down this route. Whilst the mash is cooking, place a frying pan on the hob over a medium heat, add a splash of oil and then the onions. Brisking stir-fry to encourage the water to evaporate and to soften the onion. This takes about five minutes. When ready, combine the onion with the mashed potato and one teaspoon of the frozen parsley and mix together. There is no need to season or add butter, the potato has plenty. Place your presentation onto a baking tray and spoon a quarter of the mash potato inside, patting everything down so that the surface is nice and level. Then take a frozen parsnip and using a grater or microplane, grate a generous amount on top. Remove the presentation ring by whipping it upwards (like a magician whips off a tablecloth). Repeat to make four cakes in total and then place into the oven, on the middle shelf. Next, place the frying pan back in the hob, over a medium heat and add another splash of oil and plop in the tenderloins and fry for 4 minutes each side. Then place onto a baking tray and put into the oven next to the potato cakes. for 10 to 12 minutes. Now for the black pudding, using that same ol' frying pan, place back on the hob over low to medium heat and lay down your slices. Cook gently and flipping often, they should take about 8-10 minutes to cook from frozen. 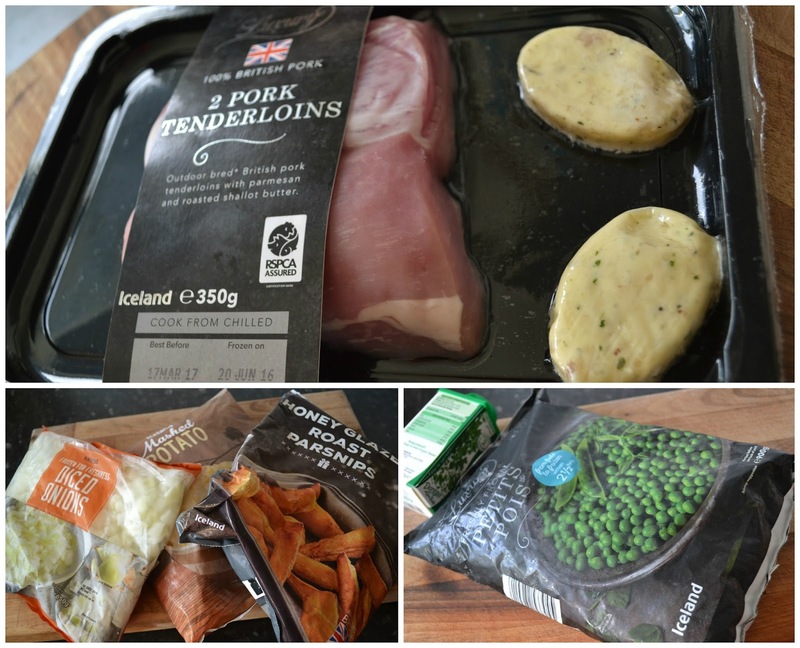 Whilst the meat, black pudding and spuds are cooking, prepare your pea purée by boiling a kettle and pouring a generous amount of water into a saucepan and place on the hob, on a high heat. Throw in the peas, bring to the boil and then reduce to a simmer. Cook for 4 minutes and then drain, reserving that smidgen of water. 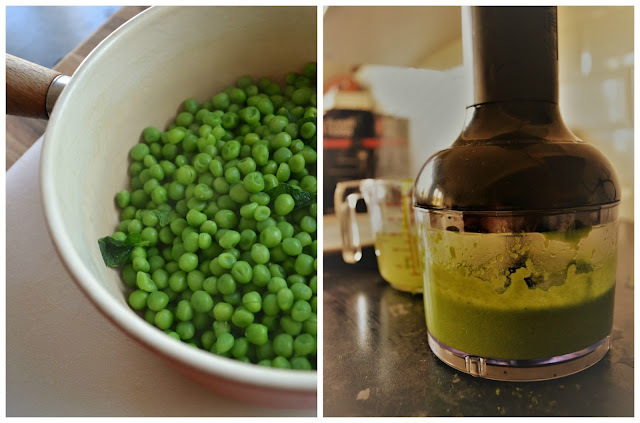 Then, preferably using a hand blender, place the peas into the plastic chopper bowl and blitz until smooth. If it is too thick, add that teaspoon of pea water and spend at least 3 to 4 minutes blending. When ready, pour back into the pan and keep warm. When the tenderloins are nearly done, place the Parmesan and roasted shallot patties on each one and roast off for another 2 minutes. Then take out of the oven and leave to rest for 5 minutes. The potato cakes should be done by this point, with a crisp, sweet topping. And so should your black pudding. To plate, spoon a healthy dollop of pea puree on your plate, dragging across to create a cheffy swoosh and then place your potato cake next to it. 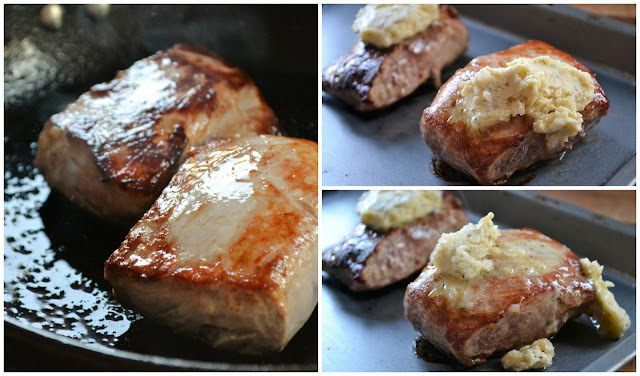 Carve the tenderloins into 12 equal slices and cut each black pudding round in half and then place on top of the puree, alternating 3 slices of pork and 2 halves of pudding per portion. To finish, pour whatever butter is left on the baking tray that was holding the pork into that hardworking frying pan, including any bits of meat left over. Add the last teaspoon of parsley and extra butter if you fancy (ah gowhan) and give it a quick blast on the hob until everything just begins to catch. Drizzle over the meat and in splodges and splashes for decorative effect. Do not adjust your eyes or monitor: yes, that is a fisherman, currently standing in a studio, trying to melt an ice sculpture, where that all important £700 has been frozen within. And Iceland are inviting people to guess how long it will take for him to do it, with the prize being the bundle of cash inside. It's a competition in other words. An abstract one at that but if you 'like' and comment on the Viral Thread post and get the correct estimate in, you could win it. He needs to get that hairdryer out a bit more often if you ask me. Or use the hammer. This will be awesome for my weekend. that looks amazing, and so tasty! We do the guessing game here too. Always after the plates have been cleared & usually when the dish involves something that someone claims to hate! Best Electric Griddle - I am glad, Best Electric Griddle. Helen - Thank you and yes, I hear you on the guessing game. Good way to sneak stuff past some (little) people.